While Mexico was once shut off to foreign outsourcers, it has recently opened up to the business world as a place for inexpensive, yet quality manufacturing. In 1994, the North American Free Trade Agreement or NAFTA was enacted, eliminating tariffs between the North American countries. Today, the country holds free trade agreements with forty-four other countries, and exports as much manufactured goods as all other Latin American countries combined. However, Mexico’s wide open economy exposed the country to the world’s, and in particular, the U.S.’s financial crisis of 2007-2008. In 2009, the Mexican economy shrank six percent. And ever since China entered the WTO in 2001, it has been vastly undercutting the Mexican export industry. For the next ten years, the economy would grow by less than two percent. This was half the rate of Brazil’s growth in the same time period, which was booming due to its exports to China. Today, Mexico is experiencing changes in its factories, oil and gas fields, and even its financial sector. The economy grew at a rate of around four percent last year, and is set to repeat the performance this year, almost twice that of Brazil’s GDP growth rate. President Pena is hoping to increase growth to six percent before the end of his six-year term. Many economists predict that by the end of the decade, Mexico will be firmly within the top ten largest economies. 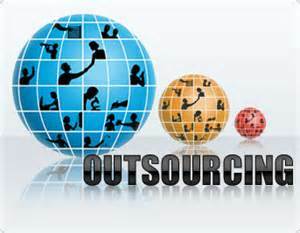 This translates to greater stability for business owners looking to outsource manufacturing and reduce costs. One of the biggest reasons for the turnaround in Mexico’s economy is that the costs of Asian labor and transportation is rising, causing many companies to move west for cheaper manufacturing. For instance, at the turn of the century it cost $0.32 to employ a Chinese laborer, and $1.51 to employ a Mexican worker for an hour. Today, Chinese wages have grown exponentially to $1.65, whereas Mexican wages have only risen to $2.10. In fact, the minimum wage in Shanghai is now greater than that in Mexico City and Monterrey. Not only have wages risen more slowly compared to those in Asian countries, but the cost of moving goods from Asia to the states is costlier as well. The price of oil tripled since 2000, causing manufacturers to produce closer to home. Besides that, the inventory cycle time achieved by Mexican exporters is unmatched. It can take up to three months to move a container by boat from China to the U.S., whereas a truck can move the same container in just a few days. Today, the combined factors of low wages, easier and cheaper logistics, and favorable currency fluctuations make Mexico the best choice of manufacturing for American businesses, better than China, as well as other Asian countries like India and Vietnam. Regardless of what type of goods you sell, you are guaranteed to reduce costs by outsourcing your manufacturing operations to Mexico. For more information about how you can partner with a wire harness Mexico manufacturer to take advantage of the cost savings that our Southern neighbor can offer, contact LoDan electronics today!